Hi, this is Dobby, and I would like to register a complaint. Capybara hot tubs are all the rage in Japan. 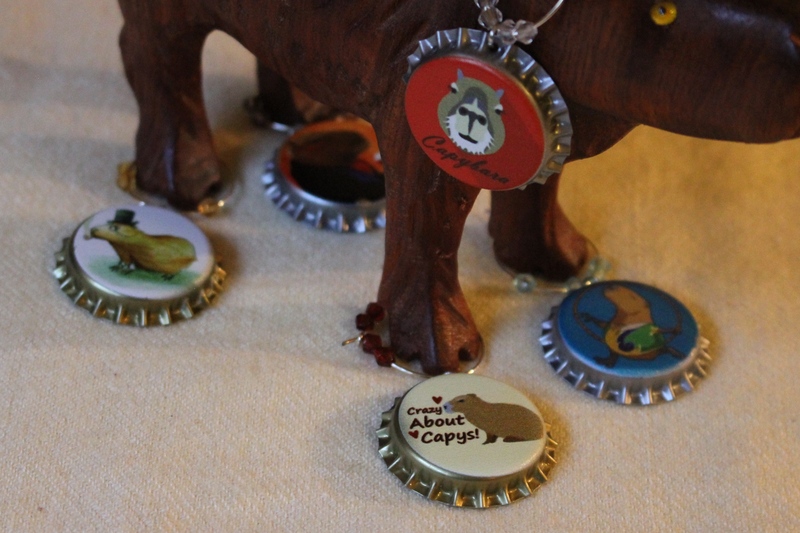 Almost all the zoos with capybaras have to have them, because they are so popular with visitors. You can see why by looking at these photos with happy capys. Izu Shaboten Park was one of the first parks in Japan to spoil their capybaras in the winter. Look at that: lemons and everything! More than twenty Japanese zoos now offer winter hot springs for their capybaras. In the photo above, it looks like they have camellia blossoms floating in there! Our camellias don’t bloom much because the flower buds get bitten off. You can see how popular the hot tubs are. Look at this mob scene! They look so warm and happy and peaceful, don’t they? Check this little video out! It looks a little crowded, but I would like to be in there, anyway. The Nagasaki Bio Park has some great photos of capybaras enjoying the hot tubs here. Admit it, you want to get right in with these guys. The Nagasaki Bio Park facebook page is featuring a lot of capybara hot tub news right now, because it’s winter. Kids can feel the warm water! My complaint? Look at my pathetic little hot tub! What’s up with this? Don’t I rate something a little more substantial? Okay, fine, I have a bathtub with a hot water shower out here, but I refuse to get in it. I wouldn’t go into the stock pond, either. That doesn’t mean I wouldn’t use a fancy wood soaking tub with constantly circulating hot water! Or maybe just buy the tub, let the hot water run? Is anyone else really using that hot water? I DEMAND AN EXPLANATION! Check Out Live Streaming Video of Cute Females Bathing in Public! Right Now!! | RocketNews24. Capybara hot springs are back: Rodent-friendly onsen now available all over Japan | RocketNews24. Wow! Those are singularly unattractive hot tubs! However, if you are offering to deliver and install one for free, I might be willing to try one out. Blindfolded.